1、This machine be more easy and convenient to operate. 2、Lightweight and compact, easy to carry and convenient to use. 3、Made of high grade material, which is more durable and eco-friendly. 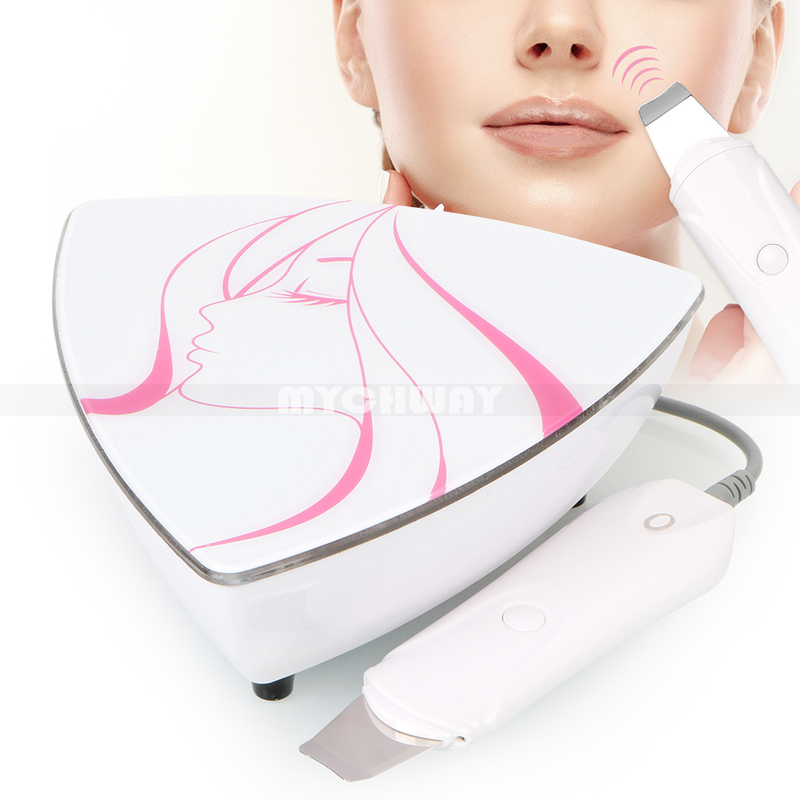 Utilizing the ultrasonic generated by Mi scrubber, the specially designed probe safely and effectively removes dirt, dead skin and stratum corneum. The acne in the pores is instantly emulsified by ultrasound and cleared painlessly. This method thoroughly cleanses the skin. Tyrosinase was atomized at an ultrasonic frequency of 28.000 times/second. Melanin is decomposed by induced voltage and discharged as waste. Skin scrubber can penetrate deep into pores, remove excess oil and dirt, soften cutin, prevent oil from accumulating, make skin soft, refreshing and refreshing; enhance skin absorption, penetrate pores, help skin gain more nutrition; skin firming, deep clean skin Dirt, fine pores, beautiful and smooth skin; accelerate metabolism, make skin soft and fair. Ultrasound skin scrubber is a multi-functional tool that removes blackheads from pores and removes dead skin cells and debris. It has been a popular facial device in spas and salons for a long time.